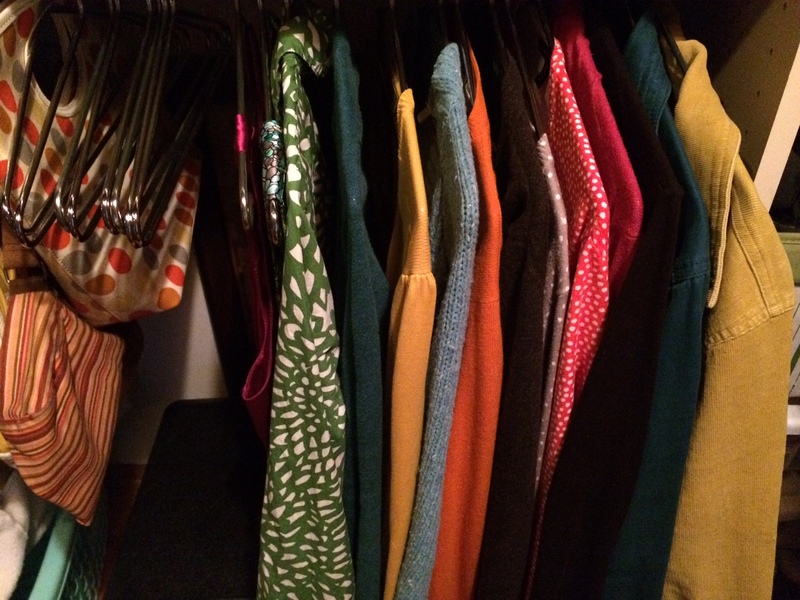 tidying up: part 2 | happy stuff. –I went to Madewell to try on some clothes from the “hunting list” above today during my break. Turns out, I’m even pickier when clothes cost $100 apiece. There was a sweater there that was deliciously squishy soft, had a great hi-lo hemline and just the general shape of the sweater was perfect….. except for the turtleneck. And not a drapey cowl, neckline, but a true turtleneck. gah. did NOT like. will continue the hunt. I did enjoy chatting with the salesperson, however. She had a body shape somewhat similar to mine and when I was admiring the feel of a sweater dress and lamenting that my body was “too curvy in all the wrong places” to wear something like that, she gently corrected me by saying, “No, you’re just like me where you need a dress with a little more structure–something that nips in at the waist. This sweater dress doesn’t provide any of that structure.” you see that there? how she redirected the problem to the DRESS and not to my BODY? I need to adopt that mindset. I left with two pairs of socks that were on sale. –later, after an even less successful trip to Title Nine (also with a similar body-typed salesperson, woot! ), I was overcome by emotion when I realized that even if I found the PERFECT piece of clothing, I’d be tempted not to fork over big, not-on-sale, brand-new bucks for it because I keep thinking I’m going to be losing weight soon and then I’d have this super-expensive, way-too-big piece of clothing that would make me sad to be smaller, sad to have “wasted” the money on something I could no longer wear. I REALIZE THIS IS NOT THE BEST WAY TO THINK ABOUT MY CLOTHING, but wow, is it deep-seated. I remember how exciting it was to buy new things to wear as I was losing weight a few years ago. Everything looked so much better on my slimmer body and it was SO exciting to see those size tags going down in number. And yet, would I allow myself to buy expensive things if I was that weight again, or would I be afraid that I was going to gain the weight back, so it would be a waste? Maybe the problem is also that I’m afraid that I’ll buy a $100 sweater and then shrink it or stain it or something. I’m just not used to investing that much capital into my clothes. 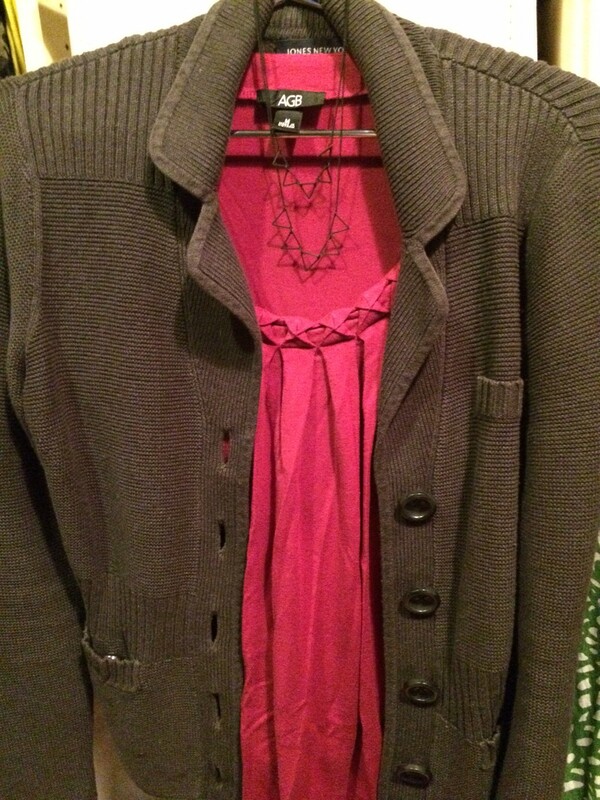 I’m shopping on ThredUp and realizing that I’m shying away from “unique” items (like a t-shirt with a beaded collar) because if I only have a small number of pieces of clothes, then if I have a really recognizable piece and need to wear it over and over again, it will be more easily remembered. What if other people get bored of me wearing the same thing over and over? What if I get bored of it? But what if I get bored of just wearing closet basics all the time? This entry was posted in tidying up. Bookmark the permalink. You inspired me to read this book. I’ll let you know how it goes.